The Shag is a seabird. Big brother Cormorant nest in colonies in trees, the Shag never will do so. It prefers nesting on cliffs above the sea. 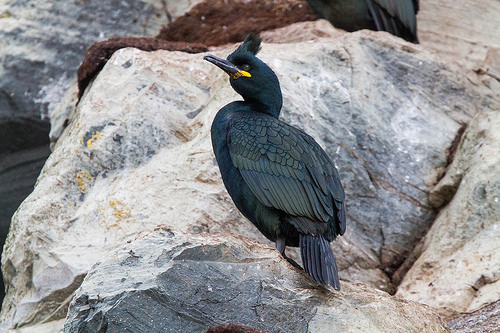 The Shag is found on or near the sea and is slightly smaller than the Cormorant. 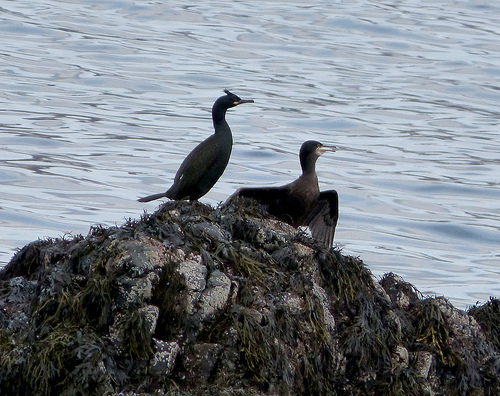 In summer the Shag has a distinctive crest.